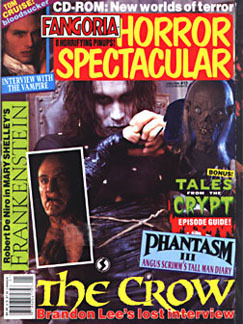 © 1995 Starlog Communications Intern., Inc.
Fangoria Horror Spectacular No. 10, January 1995. "The Crow - Brandon Lee's Lost Interview."